The Asics GT-1000 2 ladies running shoes are designed to prevent overpronation and feature an open mesh upper delivering both comfort and great breathability. These stability shoes offer the SpEVA midsole material for improved bounce-back characteristics and decreased midsole breakdown. In addition, the solid rubber outsole guarantees added durability and traction. The AHAR+ outsole material ensures excellent cushioning, while the Guidance Line® provides enhanced gait efficiency. 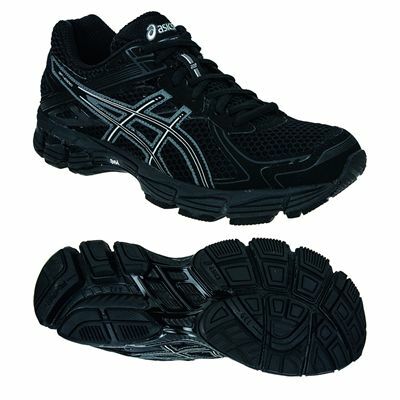 for submitting product review about Asics GT-1000 2 Ladies Running Shoes.